The Eagles and general manager Howie Roseman have made an addition to the club’s front office, hiring former Browns executive Andrew Berry as vice president of football operations, according to Ian Rapoport and Aditi Kinkhabwala of NFL.com (Twitter link). Berry joined Cleveland’s front office in 2016 after ex-GM Sashi Brown hired him as vice president of player personnel. He’s now being hired away by the Eagles for what is considered a promotion, tweets Mary Kay Cabot of Cleveland.com. Berry had reportedly drawn interest from several other teams in the past, per Rapoport and Kinkhabwala, but the Eagles make sense as a fit given Cleveland and Philadelphia’s shared interest in analytics. 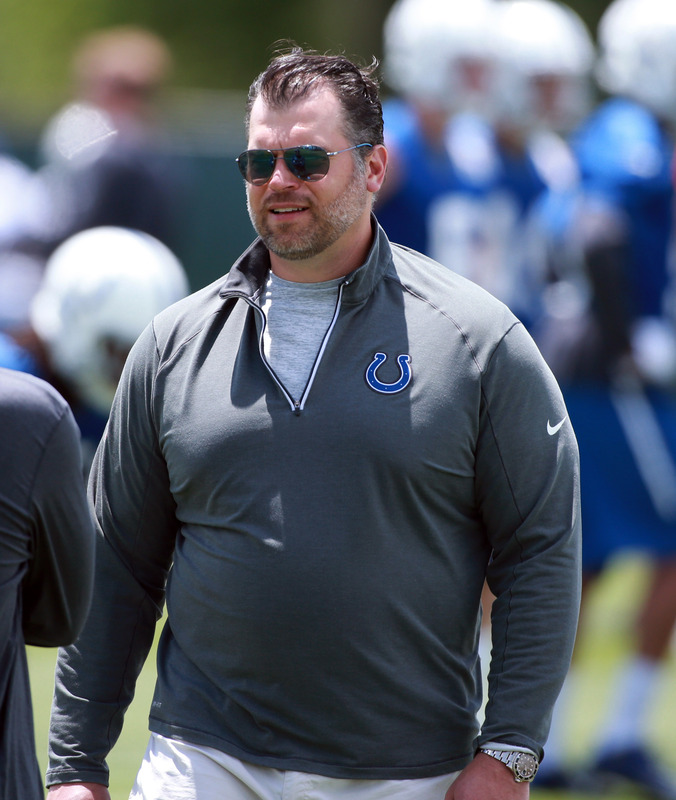 A Harvard graduate, Berry first entered the NFL in 2009 as a scouting assistant in the Colts’ front office. He was eventually promoted through a number of roles, and ultimately served as Indianapolis’ pro scouting coordinator from 2012-16 before leaving for Cleveland. Although Berry is departing the Browns’ front office, chief strategy officer Paul DePodesta is expected to remain in his current role, per Cabot (Twitter link). The Browns have parted ways with executive Ryan Grigson, Mary Kay Cabot of Cleveland.com (on Twitter) hears. Meanwhile, Chief Strategy Officer Paul DePodesta, andVP/player personnel Andrew Berry will continue in their present roles with the team, according to ESPN.com’s Tony Grossi (on Twitter). 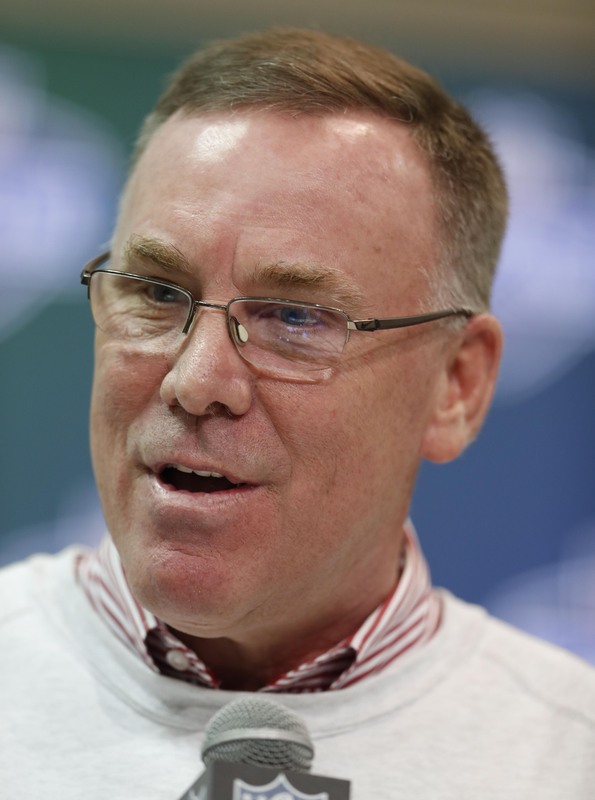 New GM John Dorsey has set out to shake things up in the Browns’ front office. Soon after taking the job, Dorsey plucked Alonzo Highsmith (now the team’s Vice President of Football Operations) and Eliot Wolf (newly appointed assistant GM) from the Packers. The former Colts GM, however, will not be a part of the revamped group. 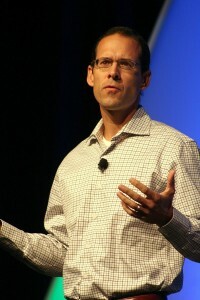 It’s somewhat surprising to hear that DePodesta and Berry will keep their jobs, particularly after Dorsey ripped former head honcho Sashi Brown and “the guys” who were a part of “that system.” Dorsey has used analytics in the past, but he a traditional football man at heart, so DePodesta may not have much impact in what goes down this offseason. Paul DePodesta might not be long for Cleveland. In an interview on Thursday morning, new Browns GM John Dorsey took aim at not only his predecessor, but the people working underneath him. Dorsey’s decision to pluralize “guys” and deride the previous “system” does not bode well for DePodesta, the team’s Chief Strategy Officer. Dorsey has used some analytics in the past, but he is more of a traditional football man and he might not see a ton of value in keeping the Moneyball pioneer on the payroll. It’s not just DePodesta that could be shown the door. Dorsey also sidestepped a question about whether Jackson will return as coach in 2018. James Harrison sounds like he’s regretting his offseason decision to re-sign with the Steelers. The 39-year-old edge defender told NBC’s Michele Tafoya he would have signed elsewhere had he known he was going to receive this level of playing time (Twitter link). Harrison’s been active for just four Steelers games and has played just 29 snaps. While the Steelers viewed him as a bullpen-type weapon this offseason, those plans either haven’t come to fruition or are part of a long-game solution by the Super Bowl-contending team. He delivered standout football as a full-timer last season, and Pro Football Focus has not viewed Bud Dupree‘s work highly this season. But it hasn’t been enough to get Harrison on the field. Harrison signed a two-year deal to stay in Pittsburgh in March; the Steelers can save $1.3MM by cutting him after the season. While Harrison could look elsewhere if he wants to continue his career, he’ll turn 40 in May and did not fare well the only other time he left Pittsburgh, having retired from the 2013 Bengals. Here’s the latest from the North divisions. John Ross enjoyed an up-and-down 2017. The former Washington speedster became a top-10 selection despite offseason injuries but enjoyed one of the more nondescript rookie seasons a first-round wideout has in memory, playing just 17 snaps over three Bengals games and failing to catch a pass. Ross will encounter more hurdles soon. Ian Rapoport of NFL.com reports (on Twitter) Ross will undergo surgery to repair the labrum in his left shoulder. This comes after Ross underwent a procedure to repair the labrum in his right shoulder. While this marks yet another surgery for the oft-injured pass-catcher, Rapoport notes Ross is expected to be ready by OTAs. The Bengals placed Adam Jones on IR on Saturday, but the veteran cornerback does not want to wrap up his career just yet. The 34-year-old Jones said (on Twitter) he’s “not done playing football.” A team option will determine whether Jones will play his age-35 season on the Bengals, who can save $6MM by cutting the polarizing but effective corner. Paul DePodesta and John Dorsey have yet to meet, with their first summit set to come when they watch Sunday’s Browns-Packers game together. Mary Kay Cabot of cleveland.com reports the team’s chief strategy officer was not in on the GM’s hiring, and the longtime Browns reporter doesn’t see how this setup will work. The former MLB exec and Dorsey will each report to Jimmy Haslam, with some potentially contradictory philosophies, while the Browns attempt to move on from a chaotic period that was largely caused by disparate-thinking voices in the building. However, the draft choices Brown acquired and cap space he helped create were the most attractive part of this job, Dorsey said (via Pat McManamon of ESPN.com). Dorsey will control the 53-man roster for the first time in his GM history, commandeering these responsibilities after Andy Reid had them in Kansas City, and he’ll be entering an offseason with more than $110MM in cap space and five first- or second-round picks in the upcoming draft. Dorsey will also likely have access to the No. 1 pick, just as he did during his first Chiefs draft in 2013. The Chiefs took Eric Fisher atop a lower-regarded draft that year. Haslam says the current plan is for head coach Hue Jackson, Dorsey, and executive Paul DePodesta to report to ownership (Twitter link via Andrew Gribble of ClevelandBrowns.com). “[Hue] and John will be working closely together for a long time,” Haslam said. Because DePodesta reports directly to Haslam, Dorsey will not have the authority to fire him, Mary Kay Cabot of The Plain Dealer hears. The Browns also want to keep Andrew Berry as the Vice President of Player Personnel. Dorsey, will have the opportunity to hire and fire others in the personnel department, but it sounds like he has been asked to work with both DePodesta and Berry. Haslam reiterated that Jackson will be the coach in 2018. He then went a step further, adding: “I think it would be a mistake to just zero in on ’18. We’re planning on Hue Jackson being our football coach for a long time,” Haslam said (Twitter link via ESPN.com’s Pat McManamon). Dorsey has control over the 53-man roster in his contract, sources tell Ian Rapoport and Tom Pelissero of NFL.com (on Twitter). That means he’ll run the draft, free agency, and all other facets of constructing the team. In Kansas City, coach Andy Reid had control over the 53-man roster. The failed A.J. McCarron trade on the Oct. 31 NFL trade deadline had nothing to do with the team beginning to pursue Dorsey five or six weeks ago, Haslam insists (Twitter link via Nate Ulrich of the Akron Beacon-Journal). Things reached a boiling point between Jackson and Brown in August when the team cut cornerback Joe Haden, despite already having plenty of cap space, Charles Robinson of Yahoo Sports hears. Jackson’s frustration was later compounded when Haden signed with the rival Steelers. Jackson was also riddled with anxiety on draft day since the front office was undecided about the No. 1 overall pick until the morning of the draft. The latest source of tension came from the McCarron deal. Robinson hears that some senior members of the coaching staff felt that Brown had either gotten cold feet or purposely sabotaged the trade. That didn’t take long. The Browns have reached an agreement to make John Dorsey their next general manager, Chris Mortensen and Adam Schefter of ESPN.com report (on Twitter). This move comes hours after the team fired executive VP and de facto GM Sashi Brown. The Browns announced the move. Jimmy Haslam had already spoken with several executives to get a read on this search, and it’s clear that was done while Brown was in his final weeks as the team’s top decision-maker. Jason La Canfora of CBS Sports tweets this process unfolded over the past “several weeks.” He adds Hue Jackson was consulted. Nate Ulrich of Ohio.com reports (on Twitter) Dorsey will receive a four-year contract. The Akron-based Browns insider reports the team interviewed two candidates formally and spoke with “two or three more.” Interestingly, Ulrich adds Dorsey will report to ownership along with Jackson and Paul DePodesta — the team’s chief strategy officer who was a key part of the Brown-era front office. So, a blending of philosophies will occur in Cleveland in an interesting arrangement. Dorsey, though, will have final say over the 53-man roster, Mary Kay Cabot of cleveland.com reports (on Twitter). Morsensen tweets a handful of candidates were considered for the job; they just weren’t affiliated with teams presently. This made for an interesting search, all while Brown was still working as their top executive. Haslam will speak at a press conference Friday. The Browns did not have to adhere to the usual waiting period to conduct interviews with GM candidates. Since the Chiefs fired Dorsey in June, he was free to interview with any team. Dorsey served as Kansas City’s GM before being abruptly canned. Prior to that, the former linebacker spent many years working with the Packers. He was once thought to be a possible Ted Thompson successor, but he will instead work on one of the most unique rebuilding projects in NFL history. “Football is what I know, it is what I love, it is what I have worked my whole career at, and I thrive on every element that goes into building a winning football team,” Dorsey said. “I have spent a majority of my football life with two franchises that also have storied history, and I think I have a feel for the mentality of the fans in Cleveland and what it would mean to recreate the success this franchise once had. I also have quickly realized how passionate Jimmy and Dee are about bringing a winning team to the city and would have not taken the job if I didn’t think the right ownership was in place. Dorsey will take on a much bigger challenge than he did in coming to the Chiefs in 2013. Although the Chiefs were 2-14 in 2012, they had a not-that-distant history of being a competitive franchise. The Browns are an incredible 1-27 since their new regime took over in 2016 and have not made the playoffs since 2002. They have not had a winning season since 2007. Jackson said earlier today he did not want full personnel control, believing it was too much for a head coach to handle. He’ll now work with Dorsey, who has experience working alongside — and not necessarily above — a head coach. Dorsey and Andy Reid worked in tandem to rapidly rebuild the Chiefs, who rebounded from that 2-14 2012 campaign to make the 2013 playoffs at 11-5 and qualify for three AFC brackets in four years. The Browns’ new leadership structure will have a bounty of draft picks to work with thanks to Brown’s unorthodox methods. Cleveland has five first- or second-round picks in the upcoming draft. The Texans’ second-half struggles could have the Browns armed with two top-10 choices. Cleveland’s scorched-earth rebuilding effort also has the team equipped with a staggering $108MM in cap space, so it will be interesting to see how Dorsey and Co. proceed. The Browns aren’t totally cleaning house. At least, not yet. For the time being, Chief Strategy Officer Paul DePodesta and Vice President of Player Personnel Andrew Berry will keep their jobs, Mary Kay Cabot of The Plain Dealer hears. DePodesta was brought on in 2016 to help spearhead the Browns’ analytical efforts. His hiring was one of the more unconventional moves in recent NFL history since he had no previous experience in the sport. So far, the numbers crunching of the former A’s exec and Dodgers GM hasn’t improved the Browns’ on-field product, but the team has amassed an impressive amount of draft capital under his guidance. And, of the team’s 24 picks made in the last two years, 20 remain on the roster. To some extent, the team’s strategy of multiplying draft picks has been a success, and DePodesta has played a role in that. Meanwhile, the search for Sashi Brown‘s replacement is already underway. 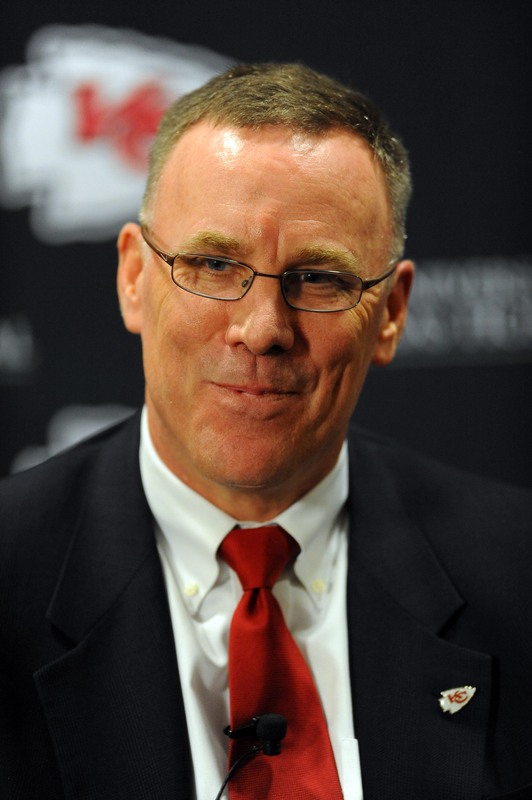 The Browns are said to be eyeing former Chiefs GM John Dorsey and he may be the frontrunner for the job. Paul DePodesta won’t be making any calls on draft day, as Mark Dominik of ESPN.com hears that DePodesta will serve only in an observational role for the Browns as he continues to learn about the NFL (Twitter link via Alex Marvez of FOX Sports). DePodesta, of course, comes from Major League Baseball, and with less than six months on the job it’s perhaps not surprising that he won’t be intimately involved in the draft day process. There’s another wrinkle to the trade that saw the Eagles acquire the No. 2 overall pick —the 2017 fifth-rounder headed to Philadelphia from the Browns is conditional, per Andrew Siciliano of NFL.com (Twitter link). If the Browns get a fourth-round compensatory pick (as is expected), that selection will instead go to Philadelphia. Safety Tony Jefferson inked a one-year qualifying offer with the Cardinals on Monday, but he almost wound up elsewhere, as Kyle Odegard of AZCardinals.com writes. “I came close (to signing) with a few teams,” said Jefferson, though the Cardinals had the option to match any offer sheet given. “We didn’t really put stuff out there (publicly), but we came close with a few teams. At the same time, I’m stoked to be back here.” While he talked with teams, no one presented him with a formal offer. Jefferson, who has started 17 games for the Cardinals over the last three seasons, had a strong 2015, notching 74 tackles, three forced fumbles, two sacks, and a pair of interceptions, including one for a touchdown. The Rams began talking with the Titans about moving up in the draft at the combine, when the two clubs’ boxes were conveniently placed next to each other — Peter King of the MMQB.com has that detail and many more in his inside look at how the trade went down. Both Jason Fitzgerald of Over the Cap and Frank Schwab of Yahoo! Sports take a look at the Panthers‘ shocking decision to rescind the franchise tag to Josh Norman. It hasn’t been a whole lot of fun in Cleveland since Browns owner Jimmy Haslam purchased the franchise in 2012. As Nate Ulrich of Ohio.com writes, the team has already fired three head coaches, three general managers, two presidents, and a CEO during Haslam’s tenure, and the team hasn’t yet finished with a winning record. Of course, the organization is hoping 2016 will be the year they turn things around. The team signed former Bengals offensive coordinator Hue Jackson to be their next head coach, and they also hired three Harvard University graduates (including Paul DePodesta of “Moneyball” fame) to make up their front office. “Rebuilding says that you’re totally junking everything and starting over, and that’s not what we’re doing. I think we’re rebooting and we’re recharging because there’s still Joe Thomas‘s on our football team, there’s Danny Sheltons on our football team, there’s Joe Hadens on our football team. So those guys aren’t rebuilding. Johnny Manziel will have to transform into the kind of constant presence around the team facility that Andy Dalton and Carson Palmer were under Hue Jackson with the Bengals and Raiders, respectively, per Albert Breer of NFL.com, if he’s to have any shot at staying with the Browns and competing for a job. Jackson, understandably, prefers quarterbacks who make the team’s headquarters their home during the offseason. These characteristics are essentially the antithesis of Manziel’s behavioral pattern since arriving in Cleveland, and Jackson’s all-out interest in making the quarterback the fulcrum of the team’s progress will probably be spent on someone who isn’t on the Browns yet. Here are some more details on Manziel and some of the rest of the AFC franchises. In an appearance on Jay Mohr’s Fox Sports Radio show earlier tonight, an initial filibuster from new Browns chief strategy officer Paul DePodesta on whether Manziel would be on the team next year turned into the former baseball exec offering a “pass” as a response, Mary Kay Cabot of the Cleveland Plain Dealer relays. The comedian gave DePodesta yes, no or pass options, and after insisting he choose one after three initial responses, DePodesta said, “pass.” Obviously not a hard answer on the scrutinized ex-first-rounder, but signs continue to point Manziel away from Cleveland. Derek Wolfe admitted he took “a big cut” compared to what he could have received on the open market in order to stay with the Broncos, Mike Klis of 9News reports. “I don’t really do this for the money. The money is great but you do it to win. That’s why I took a little bit of a haircut to stay here. I took a big cut. But you do it if you want to stay with the No. 1 defense,” said Wolfe in describing the process that went into his signing of a four-year, $36.7MM deal with the Broncos last Friday. In disclosing the terms of Wolfe’s full deal, Klis reports the defensive end will earn base salaries of $4.5MM in 2016, $5.5MM in ’17, $8MM in ’18 and $8MM in ’19, the latter two figures not guaranteed. Wolfe’s largest cap number in this deal will, as of now, loom in 2018, when he’s set to count $9.55MM against the Broncos’ cap. Jaguars senior offensive assistant Frank Scelfo‘s accepted a position at the University of Texas-San Antonio, where he’ll become the Roadrunners’ offensive coordinator and quarterbacks coach, Bruce Feldman of Fox Sports reports (on Twitter). Scelfo coached the Jags’ QBs in 2013-14 before assuming the senior offensive assistant title last season. He served as the OC for Tulane and Louisiana Tech from 1999-2009. Gus Bradley leaned on Monte Kiffin to help make the decision to promote Todd Wash to defensive coordinator, Vito Stellino of the Florida Times-Union reports. The retired Kiffin still serves as a consultant to the Jaguars and Bradley, whom he hired in Tampa Bay when he was the Buccaneers’ DC. Adam Gase has shown patience while sorting out his staff as holdovers decide whether to stay or go, according to Breer, who adds that sort of approach runs counter to the tumult that permeated through the Dolphins‘ facilities last season.